A miniaturized holy grail of neuroscience is discovering that activation or inhibition of a specific population of neurons (e.g., prefrontal parvalbumin interneurons) or neural circuit (e.g., basolateral amygdala → nucleus accumbens) is “necessary and sufficient” (N&S) to produce a given behavior. I argue that to upgrade intervention to explanation is prone to logical fallacies, interpretational leaps and carries a weak explanatory force, thus settling and maintaining low standards for intelligibility in neuroscience. To claim that behavior is explained by a “necessary and sufficient” neural circuit is, at best, misleading. modified from Fig. 1A (Yoshihara & Yoshihara, 2018). 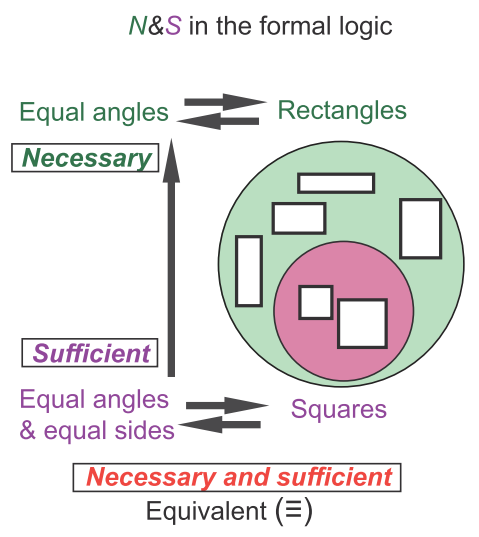 The relationship between squares and rectangles as a typical example of true necessary (being a rectangle; pale green) and sufficient condition (being a square; magenta) in formal logic. The main problem comes from the word ‘sufficient,’ which is often used to emphasize that artificial expression of only a single gene or activation of only a single neuron can cause a substantial and presumably relevant effect on the whole process of interest. Although it may be sufficient as an experimental manipulation for triggering the effect, it is not actually sufficient for executing the whole effect itself. 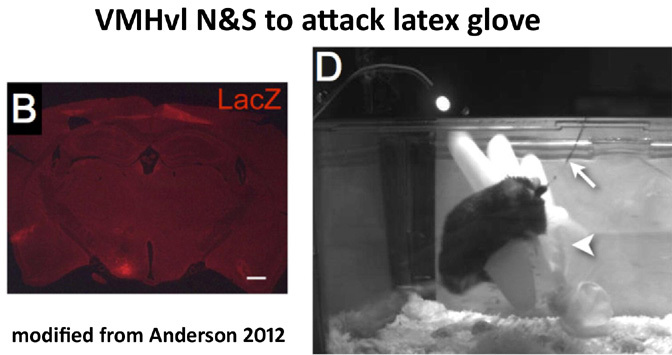 Rather, the importance of ‘sufficiency’ experiments lies in demonstrating a causal link through optogenetic activation of neurons... Thus, words such as triggers, promotes, induces, switches, or initiates may better reflect or express the desired nuance without creating such confusion. Y & Y (2018) aren't shy about naming names in their Commentary, and even say that misapplied-N&S has generated unproductive and misleading studies that offer no scientific insight whatsoever. Although one could say that N&S has a different meaning in biology, or is merely a figure of speech, such strong statements have consequences for the future directions of a field. Thanks to BoOrg Lab for the link to Gomez-Marin. 2 One of the instances uses the old discredited “command neuron” concept of Ikeda & Wiersma (1964). They call it A‘Witch Hunt’ of Command Neurons and note that only three command neurons meet the true N&S criteria (one each in lobster, Aplysia, and Drosophila). Krakauer JW, Ghazanfar AA, Gomez-Marin A, MacIver MA, Poeppel D. (2017). Neuroscience Needs Behavior: Correcting a Reductionist Bias. Neuron. 93(3):480-490. Yoshihara M, Yoshihara M. (2018). 'Necessary and sufficient' in biology is not necessarily necessary - confusions and erroneous conclusions resulting from misapplied logic in the field of biology, especially neuroscience. J Neurogenet. 32(2):53-64.